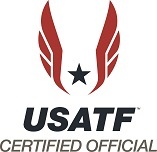 Typically the list of those individuals selected to work the national championships would be posted on the USATF Officials webpage but because the responsible individual is working out of town we are unable to post it on the USATF site until next week. In the meantime, the list of officials selected for 2019 USATF Track and Field championship meets can be viewed at noc.mach2k.net. This is the same address that you submitted your application. Congratulations to all that were selected. Next week our regular edition of the newsletter will be sent out with a wrap up of what happened at Annual Meeting in Columbus. Please keep an eye open for it. Copyright © 2018 USATF Officials Committee, All rights reserved.